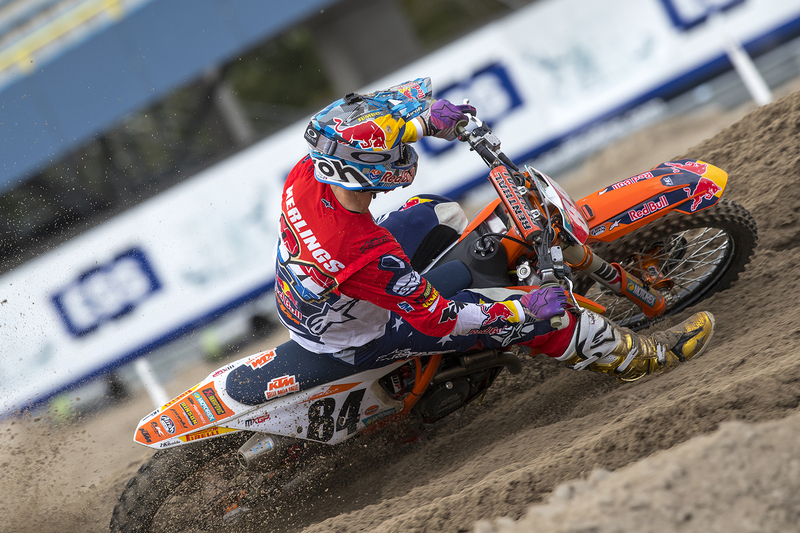 MXGP World Champion Jeffrey Herlings ended a dominant 2018 campaign with his 17th victory of the year at Imola for the Grand Prix of Italy and the 84th of his career. MXGP made a third visit to Italy this year as the famous ‘Autodromo Enzo e Dino Ferrari’ in Imola staged the FIM Motocross World Championship for the first time. A hard-packed, compact and jumpy course lay over the final section of the asphalt track provided a mix of bumps, ruts and generous air time for the riders of the MXGP and MX2 classes. Late afternoon sunshine complicated some of the visibility but also warmed a packed attendance at the facility located in the town’s ‘park’ to see the MXGP project and who were able to witness the sixteenth ‘double’ by Red Bull KTM in 2018. Jeffrey Herlings’ assault on the statistics of 2018 continued at Imola. On Saturday the new world champion topped every session and ran to a thirteenth Qualification Heat victory. The Dutchman had maintained his strict training schedule since his title spoils at Assen two weeks previously. He overtook Tim Gajser and sprinted clear in the first moto on Sunday and offered a repeat showing of his superiority in the second. Herlings has now reached a staggering 84 career wins just after his 23rd birthday and has won the last eight in a row with his works KTM 450 SX-F. He has claimed 17 of the 20 rounds in 2018, gracing every MXGP podium apart from the one event he missed (the Grand Prix of Lombardia at Ottobiano in the wake of collarbone surgery). 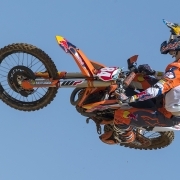 Herlings has totalled 33 moto wins from a possible 38 and went 1-1 in 15 of his 17 triumphs.